Yeah, that’s weirdly normal for folks. Amazon’s recommendation engine doesn’t seem to verify if someone’s the author or even if someone already owns a title before recommending it. It’s not the most refined system in the world, then. 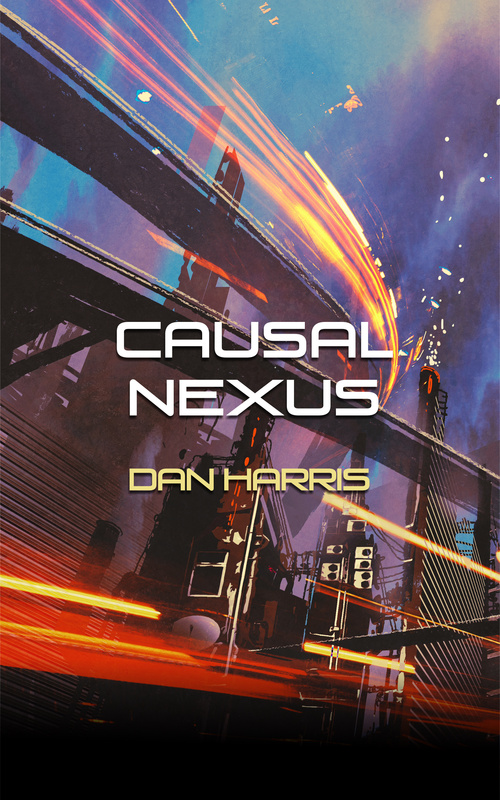 I can just imagine the logic: ‘Hmm, this guy’s name’s Dan Harris, and this book’s by someone with the same name. Therefore he’s bound to enjoy it!’ D’oh. I think that’s awesome. You’re my hero. Haha 🙂 I try to be pretty heroic in my day-to-day life. Just yesterday I held a door open for an old lady. That’s funny. 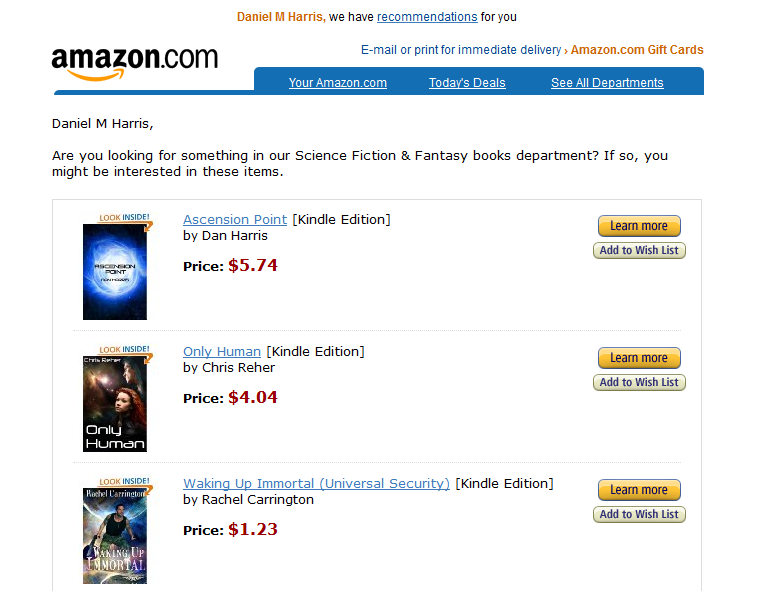 I have five or six books on Amazon (old ones that are probably out of print) and I never get recommendations for them! I like this for you. It’s good that they’re recommending your work in general. Cheers!